The painter Thomas Cole painted a number of cycles of paintings, most famous of which is the Course of Empire. I have always adored these paintings and so I decided to try to make a MTG cycle of them. And yeah I know they're probably a bit clunky and have a bunch of problems, but I was going for flavour above all else. Regarding the colours, I initially thought of doing them as g - w - w - u - r and various other variations but it just didn't work that way, so I just ended going with land types that matched the scene. There are some minor syntax(?) 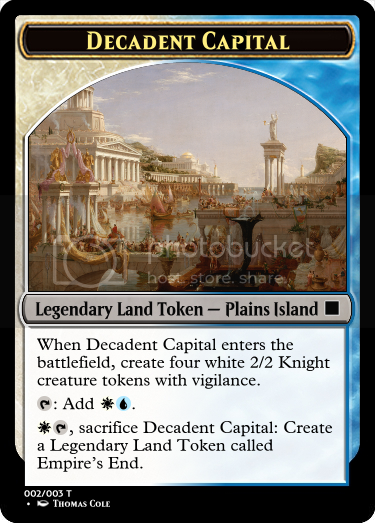 errors that I see, such as it should be 'Legendary Token Land' rather than 'Legendary Land Token', there needs to be a comma between the Mana Symbol and the Tap Symbol for the sacrifice effects, and other minor details. Biggest issue I see is that if you have lands that can produce G, B, and W, then you can easily play Savage Wilderness and then Armageddon the board and get a huge bonus with being able to produce ~6 dudes every turn there on out. Probably my biggest issue with set design is I like to play by the Rule of Cool, and that doesn't always equal "Balanced Gameplay"
First what you are suggesting imo doesn't and won't work. The standard (I'm not sure how comp rules deals with it) state that the original card has to have the entire rules text for the tokens on it (so all of the rules text for all 3 token cards on the original Savage Wilderness card. Obviously that would be unwieldy. There are a few directions I could see you going to retain your flavor and make it work. All have their own problems. Option 1: The same land different artwork. This is an old concept that I've seen reused with some of the modern sets in particular the Zendikar series. Print the same card but have different artwork on different printings. The one your artwork especially reminds me of is Mishra's Factory which had artwork for each season (Summer, Fall, Winter, Spring). Option 2: When you design your set make it a time travel set. Expect to run into the same land in different eras. Turn the tokens into their own individual cards with the appropriate artwork. 2a: Within this option there are some possibilities I can think of, and they might even spark a better idea for you. The first is to give the different lands the legend rule in a manner similar to that of the way I understand the Planeswalkers work. Something along the lines of Legendary Land - Arcadia. With rule text (I'm not a rules lawyer so this will need other input to get the wording correct). 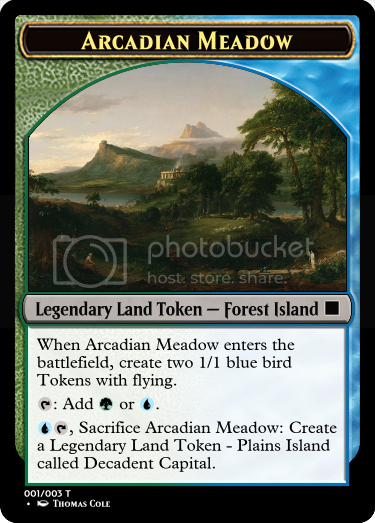 "You may only have one Arcadia land in play, if you would have more than one Arcadia land in play, choose one and place it into the graveyard, it is not destroyed or sacrificed by this action." You could even give it it's own keyword if you wanted. 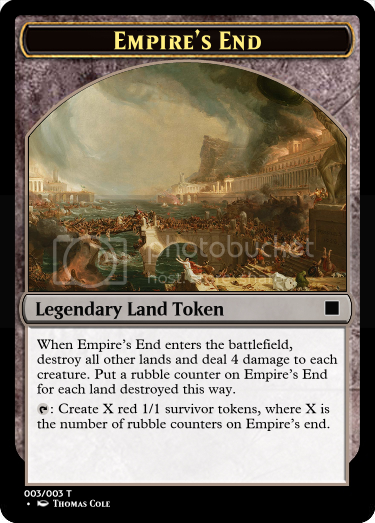 2b: Going with the cards you have designed, you could keep all of the original cards only instead of transforming using the token method you have described each would have the option to exile the current card as a triggered effect and then search for the subsequent land state in your deck and place it into play. 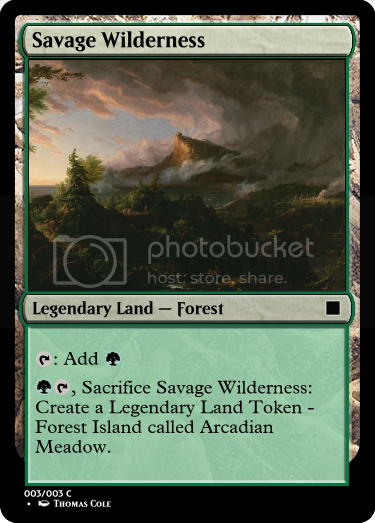 Example Savage Wilderness would have the ability " , Exile ~this~: Search your library for a land card "Arcadian Meadow" and place that card into play." Personally if it were me I would add some sort of negative comes into play abilities for the later cards if they were played from the hand something like what you find on the cards like Temple Garden although potentially even more potent as you choose something to the effect of "As ~this~ enters the battlefield from your hand, you may pay . 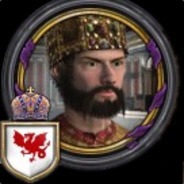 If you don't it enters the battlefield tapped." Option 3: If you could use one of the options above to move the card to a single change then you could make it a transform land (I personally don't like these types of card but they are established archetype). This only works if there are only two versions of the land associated with each other though. My thoughts for all of the cents that you need.